that value in pem.exe mb ? 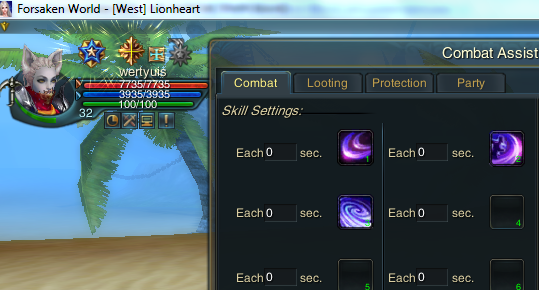 If server_zone = 3 then client checks role level, and if lvl < 60 then combat assist wont be aloowed. So, u need change server_zone or patch pem.exe. Last edited by fazotron712; 18-03-16 at 09:07 AM. Last edited by Negus; 18-03-16 at 03:31 PM. when i click to open game.exe,not error nothing happen. so i try to use 449 but i can't change lv use combat assist T T.
try search all in serverfile or element file but not found way to slove problem. there was a problem in 496 release with GM. Read bout it in server 496 release thread.